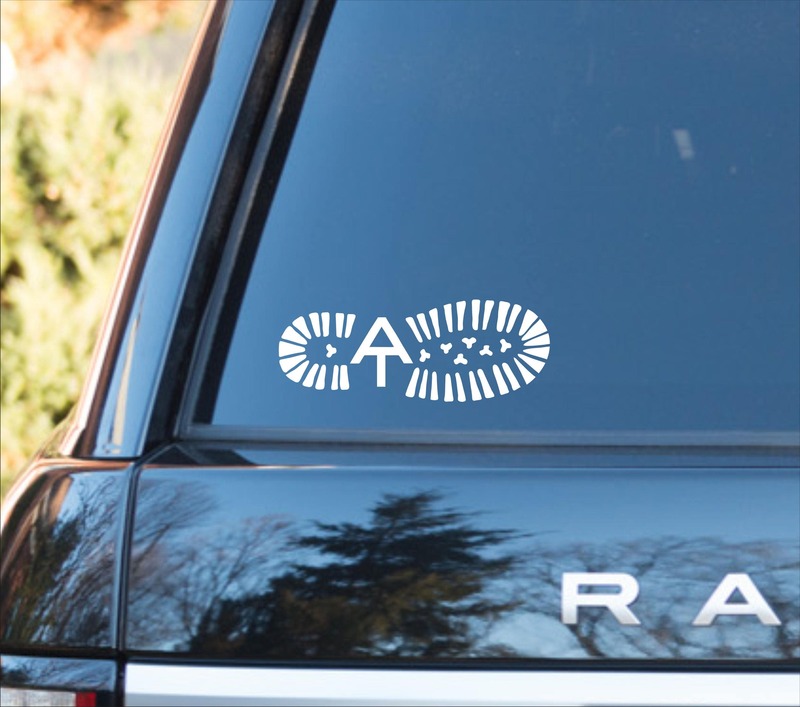 Appalachian Trail boot print decal: This was a popular decal as an oval design. We've sold many of these online and at Trail Days since 2008 as an oval "beach" style design. This design was recently suggested and purchased by a customer and I agree.....I like this better than the oval design. 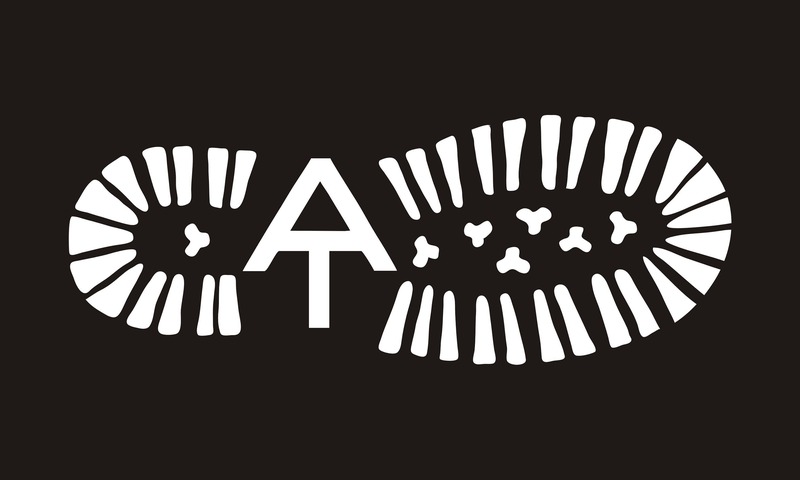 Show your passion for the AT with this cool, and very popular design. 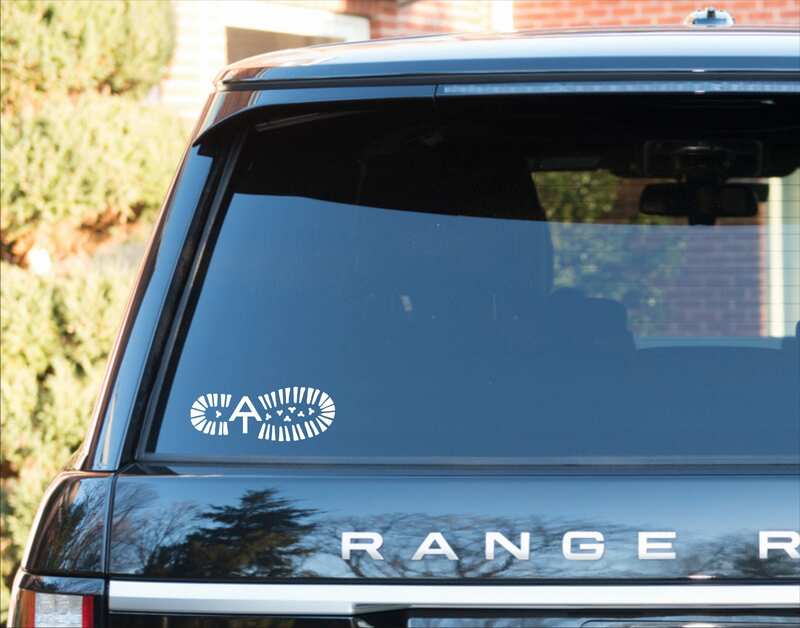 ****White shows up best on tinted auto glass.